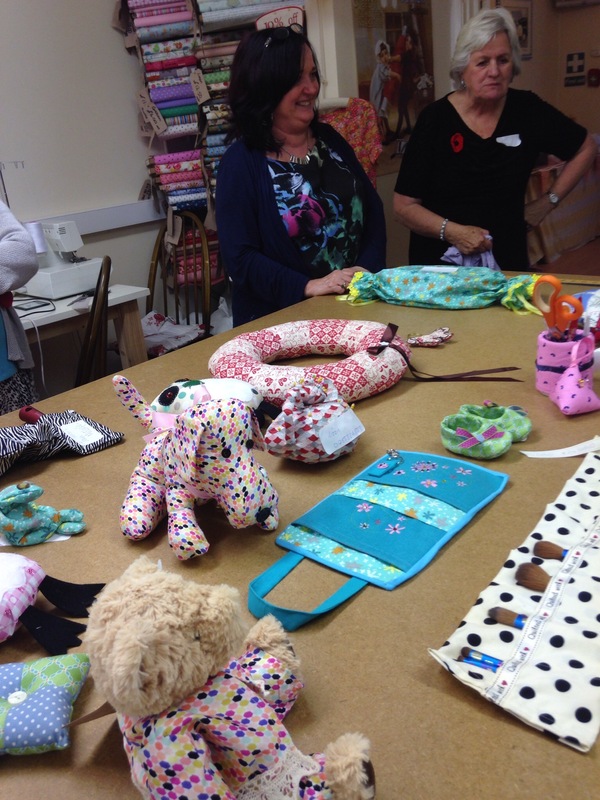 The SewCafe in Durham were joining in with SewSaturday by holding some timed workshops using a fat quarter during the day. 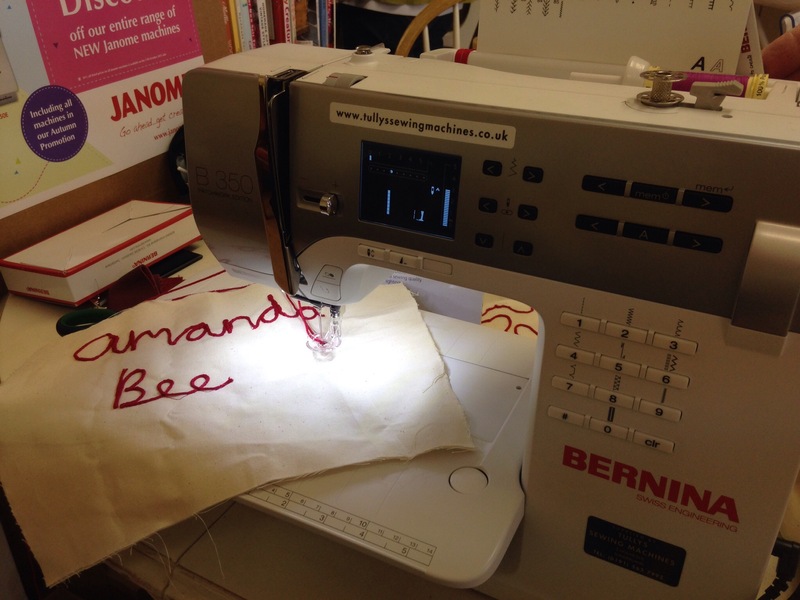 Jean asked if I could be a May Martin for the judging ……! Here I am with Jean and one of her daughters. 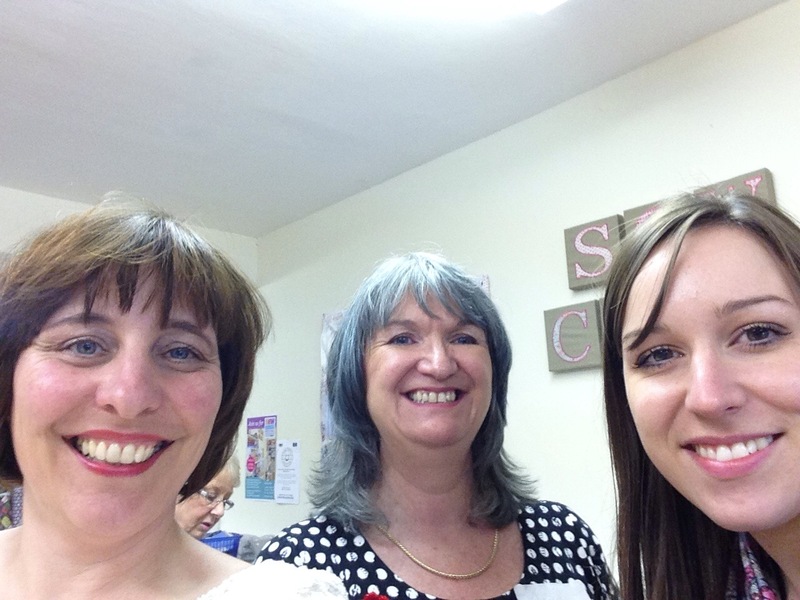 The sewing shop is just like a big happy family and I was so pleased to be part of them for the afternoon. Not sure I’ll be invited back after the judging though! I wore , of course, The Linton which is made from Linton tweed who supply Chanel. I felt I had to look the part !! And so to the judging……….aggghhhhh! It was so hard! 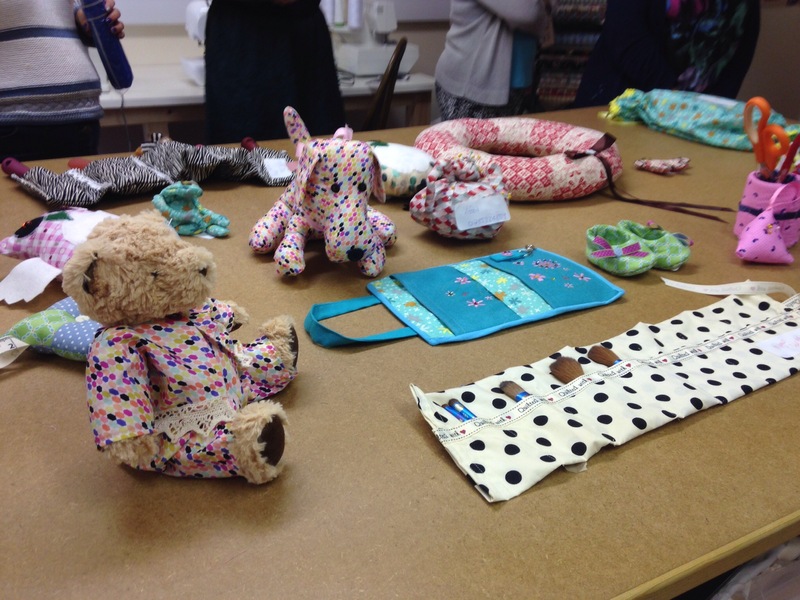 Everyone had made such amazing items . Luckily everyone got a super prize from Tullys anyway. Jean and I chose some beautiful baby shoes, a make up brush roll bag and a coffee cup recycled as a sewing pot holder as the big prize winners. I think everyone had a great time even if they didn’t win and I loved dinging the bell and shouting how many minutes were left!! Jean also set up a donation pot for our ‘Uganda -Together we can’ charity. We are helping our local vicar at school to set up a sewing centre in Kalule so the women can sew clothes for their children to wear and also to sell to pay for them to go to school. So far we have bought 8 sewing machines and a water filter. Yesterday we raised £57- so another sewing machine for them. 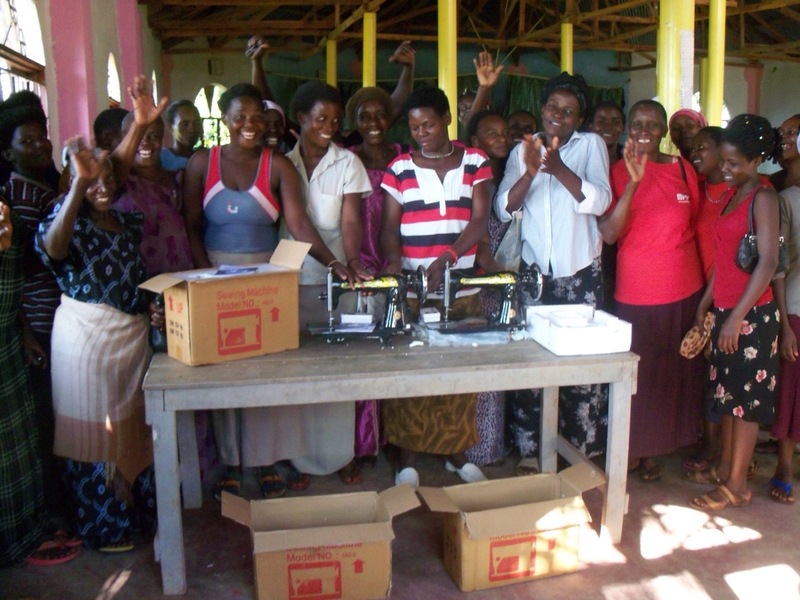 Here are the photos of the ladies receiving the sewing machines last time and what they made. 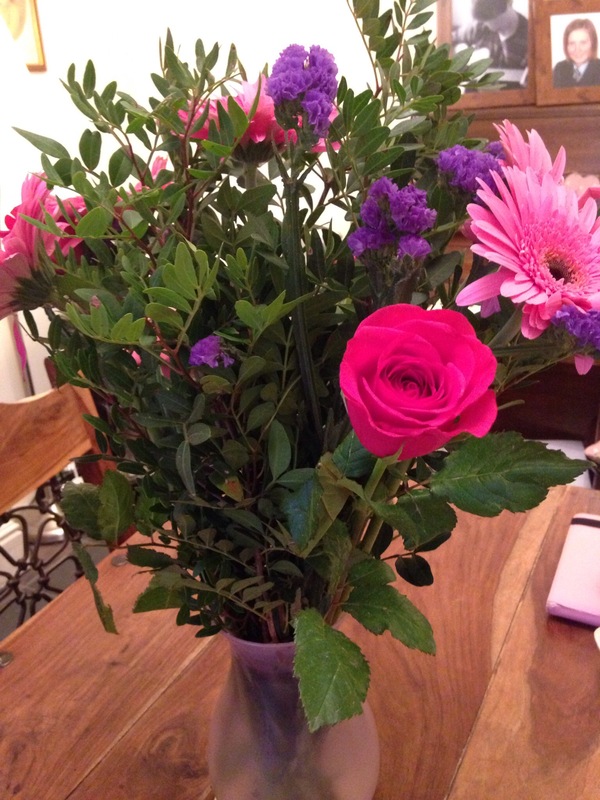 Thanks Jean and friends for such a lovely afternoon and for my lovely bouquet! What a lovely post full of joy! 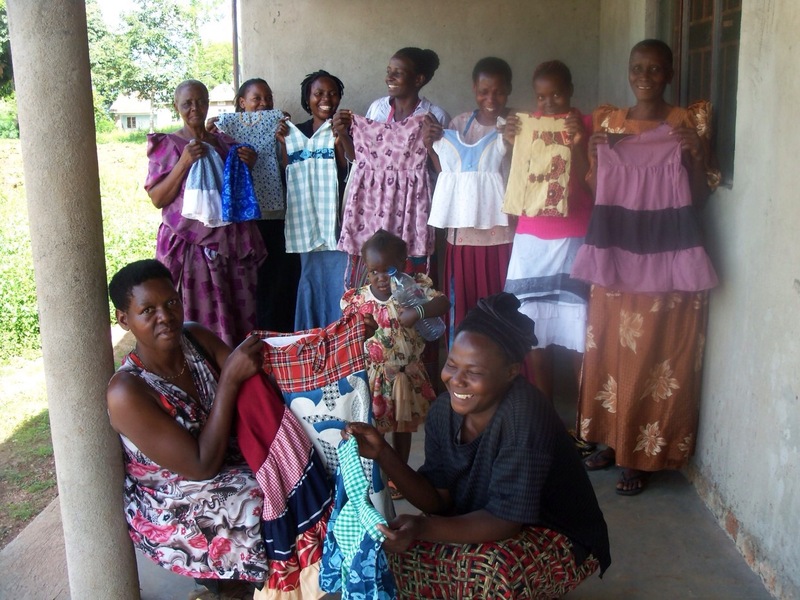 And a great idea with the sewing machines for Uganda – great stuff! Hi del!! How are you? Hope you are good! ?! That cheesecake did look interesting… not seen it served that way over here… everything seems to have the fruit on top instead of alongside. What an amazing time that must have been! Lots of great prizes (sweet little bear and doggie) and a truly worthy cause. Thanks Tutti! I still haven’t seen anything to blog about!! I need by sewing bug back!!! Thank you!!! I’ve just been reading about your shirt!!!! Looks fab!! !